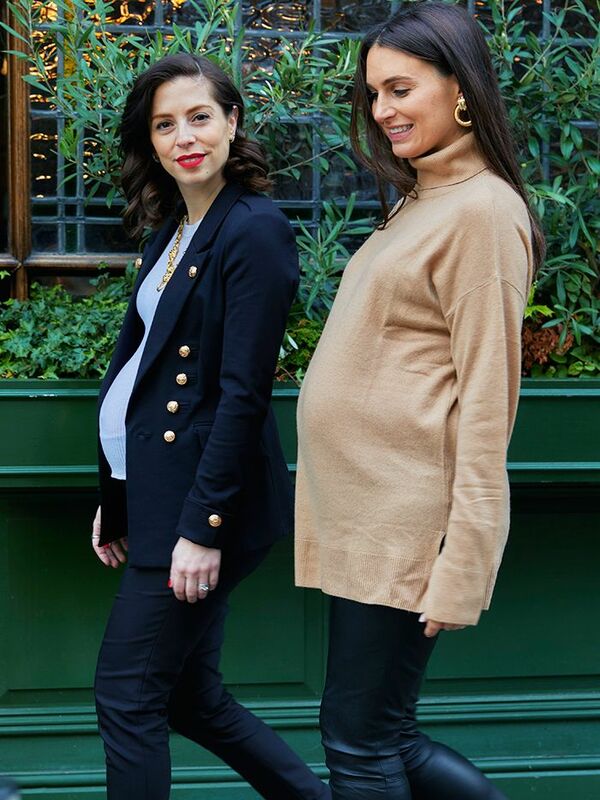 Samantha Silver and Gemma Rose Breger are industry experts who have been using their extensive fashion and beauty knowledge to create one of the most engaging mum-focused websites out there: This Is Mothership gives stylish but realistic advice on every imaginable topic. 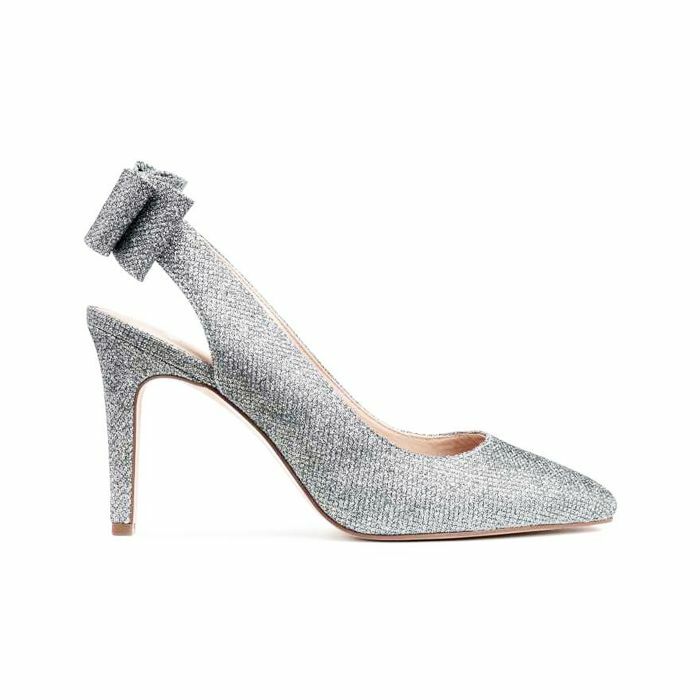 Here, Silver and Breger give their tips on what to wear for the upcoming festive season when you’re expecting. As we approach the party season, we are also approaching the final stages of pregnancy when the thought of dressing up can feel daunting. But fear not, as there is no reason you can’t get all glammed up when you are pregnant. Generally speaking, the more fabric there is, the less flattering the ensemble is, so make sure your outfit is pulled in around your body at some (or all) parts. If there was ever a time to embrace your shape, this is it! Once you are past the stage where it looks like you just ate a big meal and move into the “I’m growing a human being in here,” then show it off, and opt for something tighter. Keep scrolling for This Is Mothership’s rules on how to do maternity party dressing. Don’t be afraid to wear something form-fitting, as you will find that it makes you feel smaller. Good underwear is key and will increase your confidence in your party outfit. No need to be in frumpy maternity bras, as Victoria’s Secret has a huge section of wireless bras that give you a great shape. 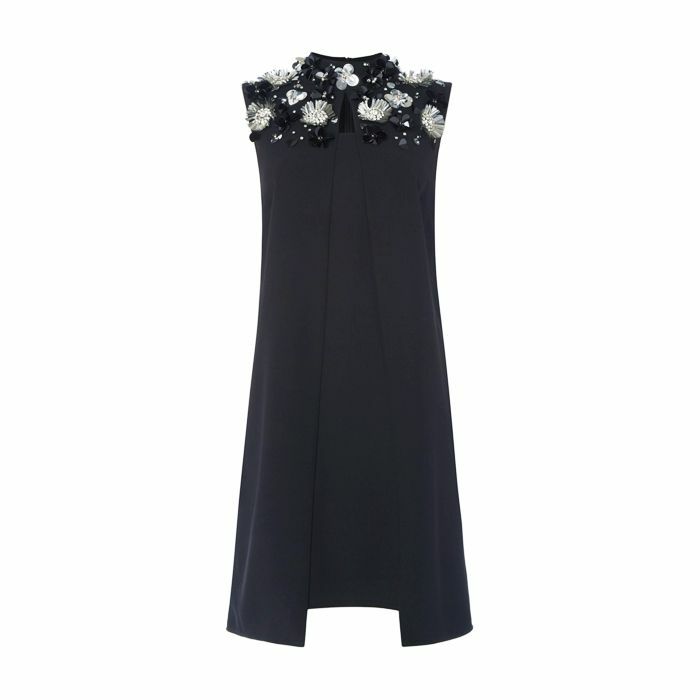 For a black-tie event or something more glam, little black dresses are always a safe, simple and flattering option. Embellishment and detailing are a great way to detract from any body parts you don’t feel comfortable showing off. 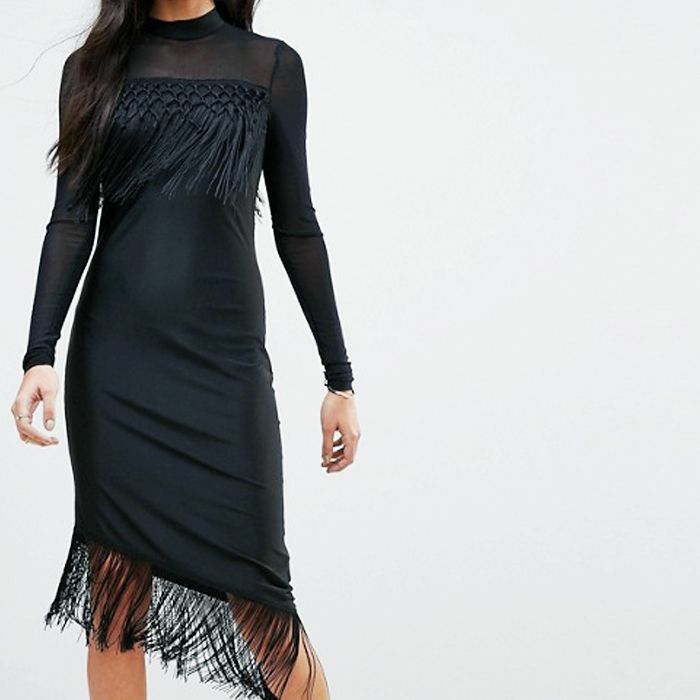 We love this fringed dress from YAS (left). It’s body-con, but the fabric is heavy enough to smooth out any lumps and bumps. Alternatively, if you’d rather opt for an A-line shape, then this Issa dress (right) will do the trick, and the embellished neckline draws the eye upwards and makes it feel special. For a more casual Christmas dinner, a two-piece suit is on trend, and if you find a great-fitting pair of maternity black slim-leg trousers (like these from Isabella Oliver), then you can pair them with a tuxedo-style jacket, which will give your shape more structure. This jacket from Very combines the military trend with some gold Christmas embellishment, so it will jazz up any simple black outfit. For a simpler take, leather trousers teamed with a chic, camel cashmere jumper will look super sophisticated while being cosy and comfy. It’s party season, so you should branch out with your accessories. Chunky jewellery will instantly jazz up any outfit. We love the vintage pieces from Susan Caplan, as you know you won’t see anyone wearing the exact same piece, so they are a real investment. 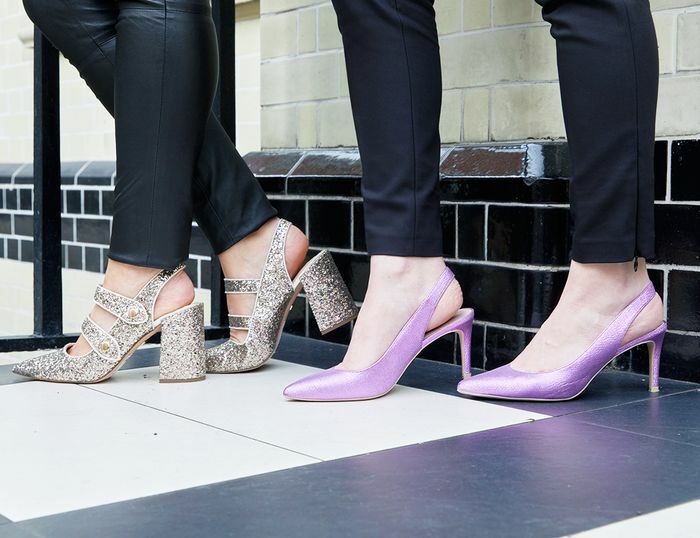 Block heels that are low enough to be comfortable but will give you enough height to elongate your legs and make you feel great are an essential. 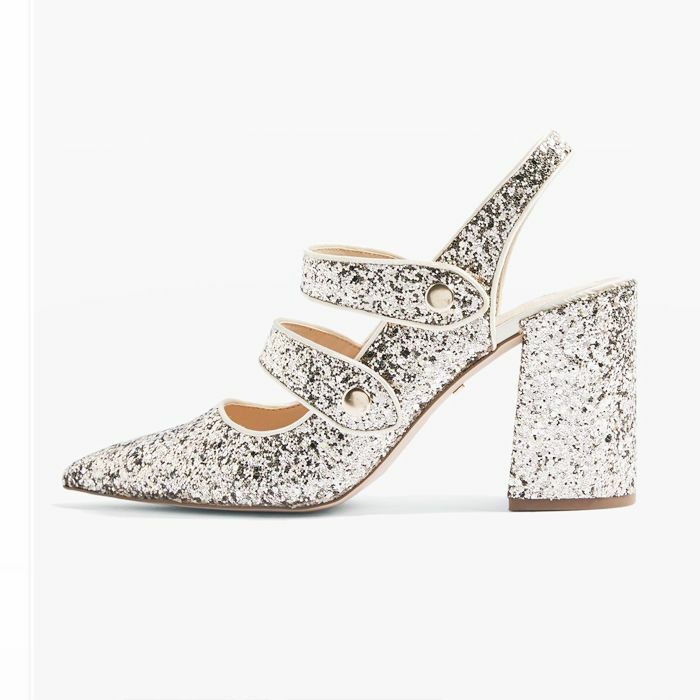 These H&M slingbacks or this gold glittery pair from Topshop are super stylish. Follow more of Silver and Breger’s fashion adventures on Instagram: @thisismothership.